Berwick-Upon-Tweed, Northumberland, UK. 14.09.2016. Shobana Jeyasingh Dance perform “Contagion”, in the Gymnasium Gallery, Berwick-Upon-Tweed Barracks and Main Guard. Contagion is co-commissioned by 14-18 NOW, the UK’s arts programme for the First World War centenary. Contagion commemorates the 1918 Spanish Flu pandemic, which killed more people than the First World War itself. The piece is inspired by the nature and spread of the flu virus, the unseen enemy that mankind was battling within, while engaging in more conventional warfare in the world outside. The striking work of the Austrian artist Egon Schiele, who fell victim to the Spanish flu, forms a visual footnote to the piece. 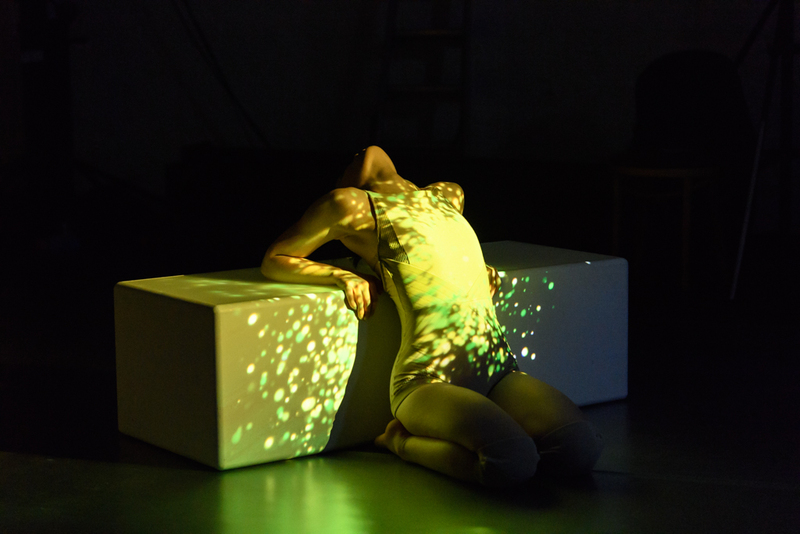 Set to an atmospheric soundscape, this dance installation with digital visuals echoes the scientific features of a virus – rapid, random and constantly shape-shifting. Eight female dancers contort and mutate as they explore both the resilience and the vulnerability of the human body. This is a standing performance presented in unusual venues, many with connections to the First World War. The dancers are: Vânia Doutel Vaz, Eva Escrich Gonzalez, Emily Pottage, Rachel Maybank, Estela Merlos, Avatâra Ayuso, Sunbee Han, Ruth Voon. Photograph © Jane Hobson.